Send to your loved ones, this Deluxe Chocoholics Gift Basket which is an ultimate expression of love. 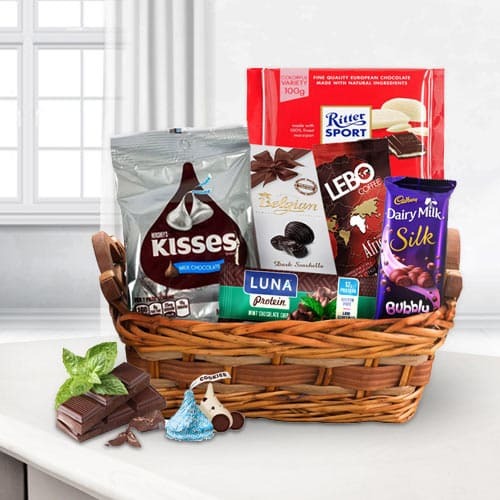 This pleasurable Chocolate Gift Basket features a mix of delicious and tempting items like Belgium Chocolate, Dairy Milk Bubble, Ritter Sports, Mint, Le Chocolate and Hersheys Kisses. All these items are decked nicely in a Basket.